It’s always interesting to watch the latest technology developer conferences and see what the giants are pushing out as the next big thing. For the past few years, mobile technology was the future. It’s always interesting to watch the latest technology developer conferences and see what the giants are pushing out as the next big thing. For the past few years, mobile technology was the future. New smartphones and tablets were released every few months by all the big players: Apple, Google, Microsoft and Samsung. Recently however, things are shifting from mobile devices to wearable gadgets. 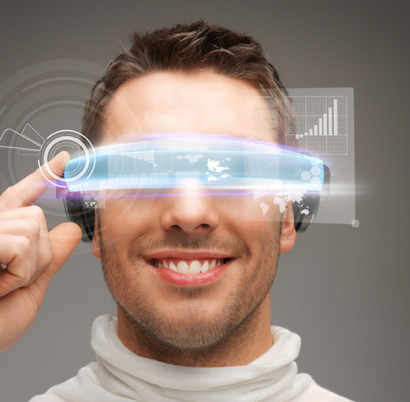 Is it possible these new gadgets, like Apple Watch or Google Glass, represent the future direction of technology? It certainly seems like wearable tech is here to stay. Manufacturers and users are finding an increasing number of ways to use these devices. Also, with their deeper adoption into our culture comes an adoption into the workplace. There’s a growing list of organizations implementing BYOD security policies because they recognize the importance of using devices employees are familiar with in their day-to-day operations. And who knows, maybe we’ll soon see sales teams armed with augmented reality eyewear and IT departments solving problems with some kind of Bluetooth, USB ring. Some believe this trend will continue and wearable tech will take the form of jewelry or other accessories. Yet, there are those who are betting against this accessory trend. In their minds, the watches and glasses are nothing but temporary toys. Their vision for wearable technology takes on a different shape…and size. One of the big players in this school of thought is a company called MC10. MC10 has been working for almost 10 years to create BioStamp and Checklight. These are tiny, wearable devices that come with wireless capabilities, sensors and a number of other features. In BioStamp’s case, the device isn’t so much worn as it is stuck right on the body. Because of it’s flexibility, it can be worn like a temporary patch, or bandaid. Athletes could use something like this to closely and accurately monitor their heart rate and breathing patterns during physical exercise. The device could even track how their muscles respond to different training and what seems to be most effective or most damaging. These devices could also be huge life saving tools. That’s one reason medical device companies like Medtronic, have taken a keen interest in MC10. Because the device is placed right on the body, it could give detailed readings that provide great healthcare insights. They could be worn by newborns, and parents could track breathing and catch warning signs much earlier. The company is even working on using the technology to improve devices like catheters, which could be inserted into a patient’s vein up to the heart and gain in-depth information on a person’s heart rhythm. In fact, health benefits seem to be one of the key advantages to these devices. As helpful as some apps are, Apple Watch won’t be saving too many lives any time soon. What’s also interesting about these devices, aside from their technical capabilities, is the possibilities people see in their atheistical value. While invisibile tech may be a misleading term, it isn’t far off. Designers would love to take these devices and make them look like body art. This is very likely for flexible devices like BioStamp, which are razor thin and meant to be worn on the body anyway. Fashion designers are jumping at the concept of turning these highly sensitive and sophisticated devices into something that looks and is worn just like a tattoo. I’m not suggesting now is the time to throw away your iPhone, or return your new Fitbit. These tiny, new devices are still a while from completion and adoption. Still, it’ll be interesting to see their different uses and which industries will take the innovation even further. Not to mention, it would be pretty cool to have a dragon tattoo computer on your arm.